The Aimpoint® Acro C-1 (Advanced Compact Reflex Optic) is with its minimal size the smallest enclosed red dot sight system on the market. 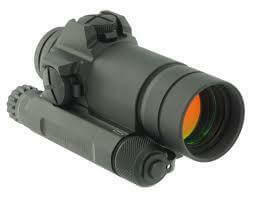 Acro C-1 is developed and optimized for use on optic ready pistols in combination with an Acro adapter plate. However, the wide range of available mounting solutions for the Acro series makes it an all-round sight that can be used on several weapon platforms. The enclosed system makes it reliable and operational in any weather conditions and being tested with 20,000 rounds on a .40 S&W caliber pistol slide, this small optic has proven to lead in ruggedness and reliability. 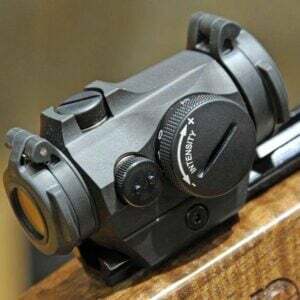 It is a lightweight, low-profile optic that provides fast target acquisition and an unlimited field of view for hunters as well as sport shooters.